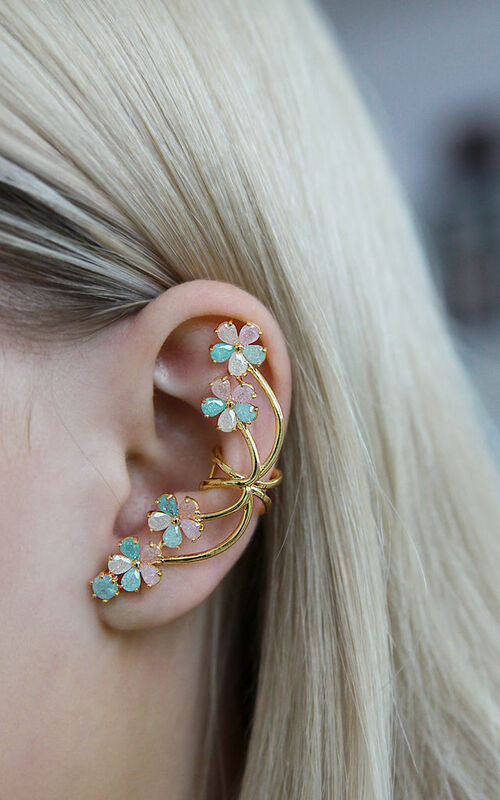 Pink cherry blossom earcuff featuring tiny flowers made of Pink and light green crystals. Gold finished earcuff easily clips on to the ear and can be adjusted to your fit. The perfect piece to add a little touch of glamour your casual look or would perfectly complete your evening look.